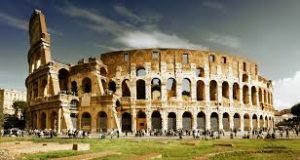 The Roman Republic came into existence after the overthrown of the Roman monarchy in 509 BC and lasted for about 482 years. It was the phase which was recognized by the republican form of government in the ancient Roman civilization. It came to an end through a series of civil wars in Rome. The main principles of the organization which ran the Roman Republic were that of ‘separation of powers’ and ‘checks and balances’. Earlier the republic was controlled by an aristocracy of individuals. Earlier all power was concentrated in the hands of the patricians, aristocratic, wealthy landholders. But with the passage of time, the laws which allowed these people to rule was replaced and the consequence was the emergence of a new aristocracy which depended on the structure of society more than that of law. During the first two centuries, there was an expansion of the territory from central Italy to the entire Mediterranean world. After it, in the next century, Roman republic further expanded to include the territories of North Africa and Greece. And further, during the last two centuries, Roman republic saw the inclusion of the territories of rest of modern France and many parts of the east. 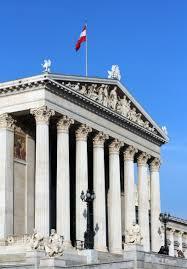 The constitution of the Roman republic was an unwritten set of guidelines and principles. The Roman constitution was not even formal or official. It was an uncodified document. 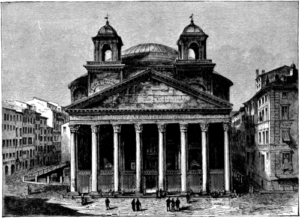 The ancient Roman republic consisted of the Senate and the Legislative Assemblies. The Senate was considered as one of the most important authorities of the Roman republic. The Senate passed the various decrees. This was basically the official “advice” from the Senators to a magistrate. The Senate was responsible for the civil administration in the city and the town. The primary qualification for becoming a Senator was to have land worth 100,000 denarii at least, being born in aristocratic class and have held public office at least once before. It was the Legislative Assemblies who had a final say in the election of the magistrates, the enactment of new laws, carrying out of capital punishment and declaration of war and peace. 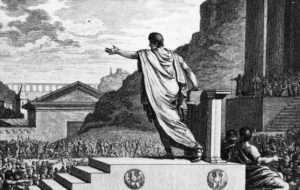 There were two types of Legislative Assemblies that existed in the ancient Rome. The first was the “committees” which were assemblies of all citizens and the other one was the “councils” which were assemblies of specific groups of citizens. Around two thousand years ago the world was ruled by Rome, but Roman could not rule itself. In the 1st century BC, the Rome was a republic. After elected by Roman citizens, the power in the hand of Senate.